Brand new log cabin. Charming, quiet with privacy. If peace and tranquility are one of your vacation objectives, then this is the home for you! Enjoy cooking on the grill while having an evening cocktail while the kids take advantage of the board games which are provided. You can enjoy a dip in the lake with access to the private, shared beach. With the fall foliage season upon us,come and enjoy a family visit to the Mohawk Trail,with whitewater rafting on the Deerfield River, Pleasant Valley Wildlife Sanctuary, Cricket Creek Farm in Williamstown, Wine tasting at Hilltop Orchards, Berkshire Botanical Gardens in Stockbridge, Catamount Aerial Adventure Park and Adventures at Bousquet Mountain. History abounds with trips to Chesterwood, Arrowhead, Wiliams College Museum of Art, Clark Art Institute and Susan B. Anthony Birthplace Museum in Adams. For the little ones, don't forget to visit Ioka Valley Farm and Whitney's Farm for many activities including the Petting Zoo, Dairy Bar, u-pick pumpkins, corn maze, hay rides, Giant slide, Jumpin' Pumpkin and the Scavenger Hunt. Also, for the teenagers and adults try your skills at Ramblewild in Lanesboro and take a drive up to Mount Greylock ( highest peak in Massachusetts ) to view the spectacular colors while having lunch or dinner at the newly opened restaurant. Specials on extended stays are available. Just ask. 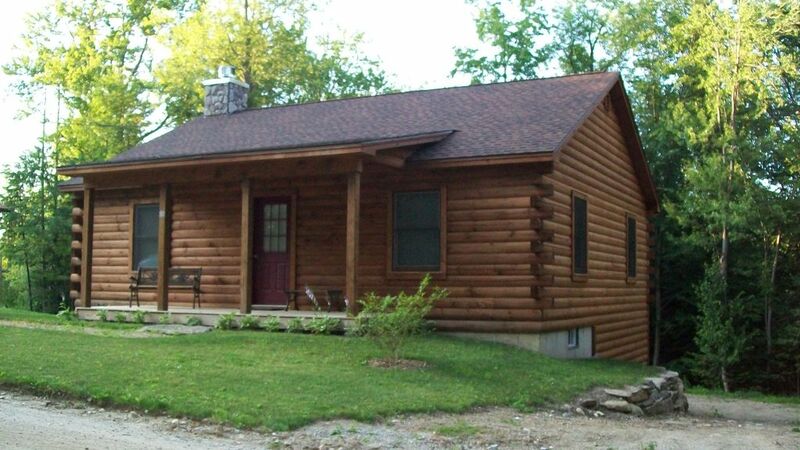 Comfortable modern cabin near beautiful Ashmere Lake. Twenty minutes to Tanglewood and the other wonderful places to visit in this region. We love western MA. So glad you enjoyed your week in the Berkshires even tho the weather was hot and sometimes humid. Thank you for leaving the log cabin so clean and bringing the trash barrel up from the basement. I do appreciate it. Hope to see you again in the future. Nice clean place. Would stay there again. Nice clean place. Beautiful lake. Would stay there again. Pleasure having you and your family. Hope to see you again. Enjoyed our stay and had a wonderful time. Would book again! Rewarding 3 week stay at this property. Marlene was a very pleasant host at all times. Only disappointments were an inflatable raft (instead of a row boat already on the water) and only a few basic channels on the cable system. Would love to stay again if changes were made to these features. Would gladly add more channels to the cable TV. Unfortunately, it is not possible for me to get a wooden boat and then get it placed on the water. Also, there is no availability of paid for slips on association water sites. Sorry, best I can do is the inflatable boat. Pleasure having you here. Glad you had a chance to use the kayaks. We came up for the Solid Sound festival at Mass MoCA and enjoyed staying in Marlene's cabin. Great little spot, very comfortable and inviting. Would definitely crash here again. Glad you enjoyed yourself at Mass MOCA. A pleasure to have you and hope to see you again. Modern/Clean Cozy Cabin Yet 15 Minutes From Pittsfield, MA - Had A Great Stay! First time at this rental and was well represented in the listing. Owners were very engaged and available both prior to and during the stay. - Modern construction with modern appliances, etc. - Internet (not super fast but expected in the country), TV/DVD. - One block of beautiful lake. - A few small towns with convience stores within minutes, only 15 minutes from major shopping. - Highly recommend the Price Chopper (Market 32) in Pittsfield for groceries, Starbucks and prepared food. - Owners very accessilbe and accommodating. - Better sofa in living room. Currently there is a recliner chair (comfy) and futon (not so comfy). - Night stand on both sides of the bed - between phones that need charging and place for eyeglass, etc. one of us had to put those things on the floor and risk being stepped on by us or our kiddos. - Hot water supply was minimal. Good for quick showers but not for baths. We have 2 kids who require baths plus my wife likes to enjoy a relaxed bath on vacation and the hot water supply got you to just about half a tub full of water. We had a great time and would certainly consider a return stay! Hope to replace futon next spring. Will put some sort of nite stand on other side of the bed. No problem. Can't under stand not enough hot water. It is a large electric hot water tank only 5 years old. Have had repeat families with small children and no complaints from them. I will have my plumber check it out. Thanks for the info. A cozy log cabin just been built on top of hill overlooking Ashmere Lake in Hinsdale, Ma. A perfect place for rest and relaxation. Walking distance to the private beach for sunning, swimming, fishing, boating or just exploring. Located outside of Pittsfield, you are a short distance to many Berkshire attractions such as Norman Rockwell Museum, Jacob's Pillow, Shakespeare & Co., Kripalu Yoga Center, Canyon Ranch, Berkshire Museum, Hancock Shaker Village, Tanglewood, Jiminy Peak, Mass MOCA, Barrington Stage Co, Williamstown Theatre, Clarke Art Museum and the Prime Outlets (shop till you drop!). Hinsdale is a quaint central Berkshire town that lacks the summer/fall tourist traffic of the southern Berkshire area.The area is surrounded by beautiful lakes and hills with many opportunities to get outside and enjoy nature.Fall foliage color overload right around you. A fully equipped kitchen, ceiling fans, central heat if needed. Just bring your suitcase, everything else is included! Property Damage Protection	$59 Off Season - long weekends available. Contact owner for information. All rates for 2-4 people for full weeks. Additional people are $25 per person. Weekend prices are for 2 people (children free). Additional adults are $25 per person per weekend.